Each 24-hour emergency room is staffed with board-certified physicians, licensed nurses and trained support staff. Wait times are 10 minutes or less. Our ER services include a Full Lab, CT Scan and X-rays and each emergency center is equipped to treat most minor and major medical emergencies for adults and children (pediatrics). Get Social with SignatureCare Emergency Room - Open 24 Hours! 1925 E. TC Jester Blvd. When you need emergency medical care, our ER doctors are available 24 hours to take care of you. We treat you like family. SignatureCare Emergency Center treats most minor and major emergencies, and wait times are typically 10 minutes or less. Our emergency rooms are equipped to treat a wide range of medical emergencies. We function like your local hospital emergency room, without the wait. Average wait time to see a medical doctor in our ER is 10 minutes or less. Our 24-hour ER provides emergency treatment for most immediate medical care needs for adults and children. We have convenient emergency centers in Texas including Houston (Montrose, Memorial City, Westchase, Copperfield, Cypress/FM 1960 and Houston Heights), Bellaire, Mission Bend/Sugar Land , Stafford, College Station, Austin, Odessa, Paris, Midland, Texarkana and Killeen. 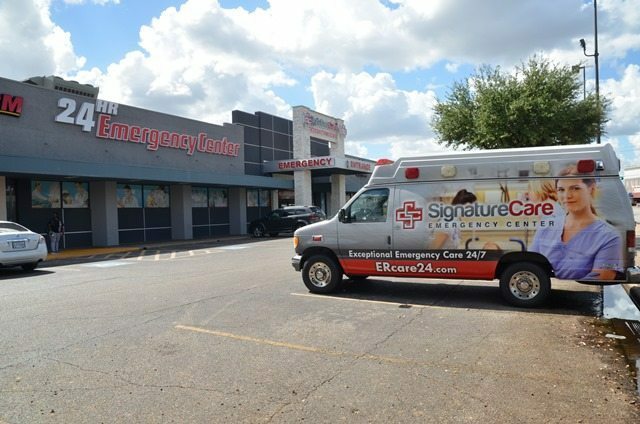 SignatureCare Emergency Center, the fastest growing emergency rooms in Texas, offers 24-hour ER services including lab work, X-ray and CT scan. Each ER is equipped to treat most minor or major medical emergencies. If your treatment requires overnight observation - our freestanding emergency rooms have state-of-the-art observation rooms and highly trained medical staff. Our ER doctors are available on site 24 hours. This will assure you have the best medical care. Visit the closest ER today. There is one near you. 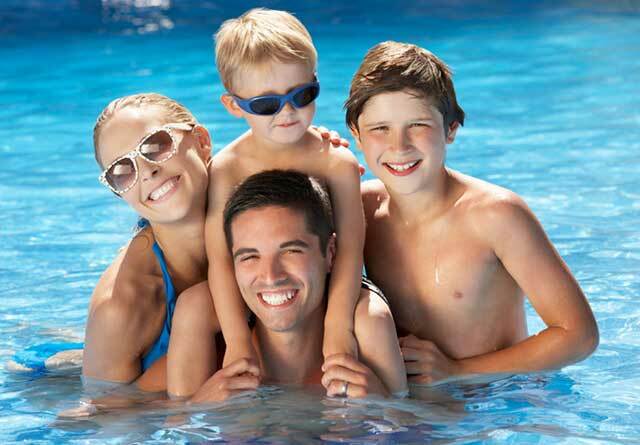 We treat children including infants, and adults. We accept most medical insurance plans. We also accept self - pay patients and you will always receive a free medical evaluation prior to any treatment. We treat dental emergencies when your dentist is closed. We also provide emergency HIV - STD testing and treatment, based on physician's determination and diagnosis. SignatureCare Emergency Center- "Your Care is Our Signature"
Love pizza? Who doesn’t? Join the doctors and staff of SignatureCare Emergency Center in the Houston area for our quarterly pizza party. This family friendly event is free fun for the whole gang. We will be having free food, (pizza of course), as well as snacks, drinks, games, music, and entertainment. There is plenty of parking, so grab you friends and family, and come out to see us! Read more. 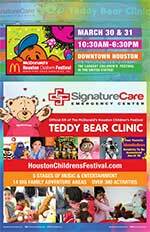 Signature Care Emergency Center invites you and your family to this year’s Houston Children's Festival in Downtown Houston. We are preparing a Teddy-bear Clinic for your little ones to enjoy so come on out and join us. Tickets are $14 if purchased at the gate, or $13.67 on Eventbrite when you buy online. There is a $2.00 discount for service members with a military CAC or DD214, or if you present a McDonald's receipt. Children under 3 get in free. Proceeds benefit Child Advocates Inc, a non-profit organization. Read more. Houston, TX based SignatureCare Emergency Center has awarded its 2019 Spring Scholarship to Aaron Boykin, a final year nursing student at Resurrection University in Chicago, Illinois. Read more. SignatureCare is proud to announce that we will be sponsoring and participating in the 2019 Westchase District Corporate Challenge, a “field day” event that began in 1997 as a way to bring local Westchase District businesses together for a day of fun and networking. Read more. For more news and videos, please go to our News and Videos page. We have 24-hour emergency centers in Houston (Montrose, Heights, Memorial City, Copperfield, Bellaire and Westchase), Stafford, Sugar Land, College Station, Midland, Odessa, Texarkana, Paris and Austin, TX. New locations are opening soon in Cypress-FM 1960 and Killeen, TX. The Houston Chronicle has named SignatureCare Emergency Center one of Houston’s Top Work Places in 2018. Read more. Texas ER group wants Texans to know the truth about insurance companies’ illegal claims denials. Learn more.